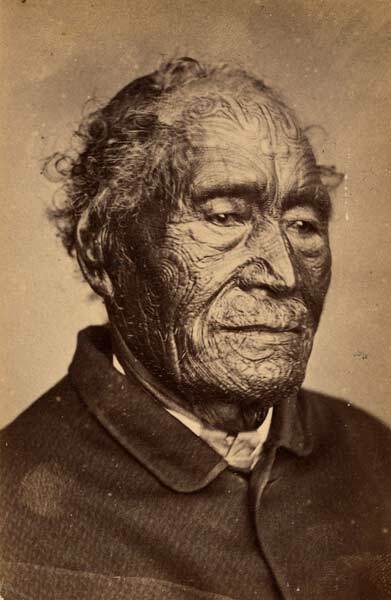 This photograph of Tāmati Wāka Nene was taken around 1870 by Elizabeth Pulman. Nene was a renowned Ngāpuhi chief who mistakenly shot his relation dead for a crime he did not commit. Nene took on the man's son, Timoti, as an atawhai.